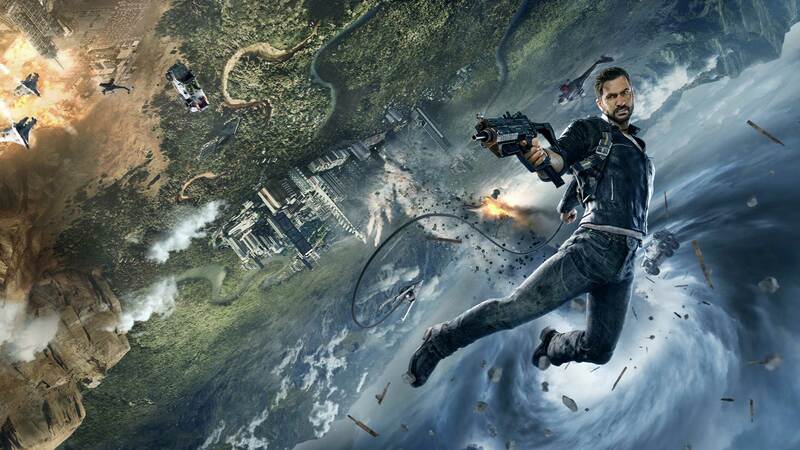 Just Cause 4 is a Square Enix-published game which means that it'll have a season pass. That is Square Enix's modus operandi. Today, developer Avalanche Studios teased Just Cause 4's trio of add-ons with a trailer. Honestly, they sound pretty cool and perfectly Just Cause! Dare Devils is a series of action-packed death races. Demons has Rico facing off against some sort of supernatural ancient demon force. Danger features "advanced technology, secret weapons, and specially-trained operatives" from Rico's former employer. Details are light, but they all seem appropriately explosive, ridiculous, and dangerous. This is what we've come to expect from Just Cause. But Just Cause 4 needs to prove itself before we concern ourselves with add-ons. Just Cause 3 fell flat in 2015 after earning a lot of attention on the back of Just Cause 2's reputation. It wasn't bad, per se. It was just routine. Just Cause is very skilled at creating a playground of explosions, but eventually all those fiery blasts somehow become underwhelming. Too much of a good thing, I guess. Anyone who's confident can buy the Gold Edition of Just Cause 4, nabbing the base game and the expansion pass for $90. That's fine if this is the game where Rico gets his mojo back. That's a mighty big if, though.